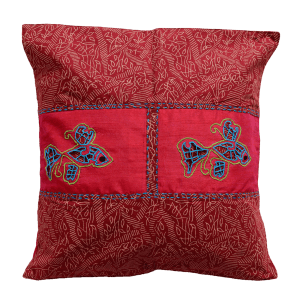 This cushion cover is handmade and features delicately embroidered fish motifs. 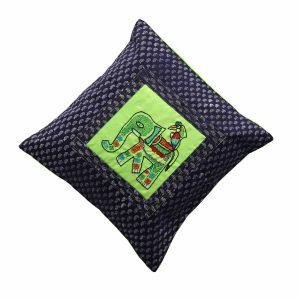 An elegant and exclusive home décor piece, it is guaranteed to add a vibrant and vivid touch to space where it is placed. 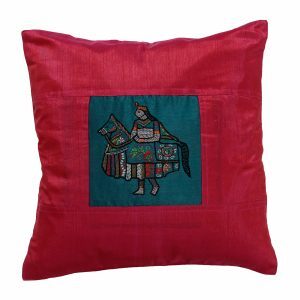 Created by Indha artisans, shop for a cause and add to the livelihood of a rural woman. 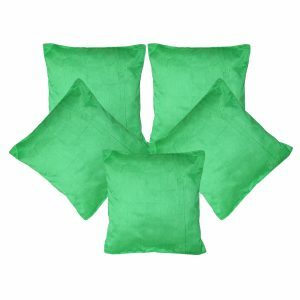 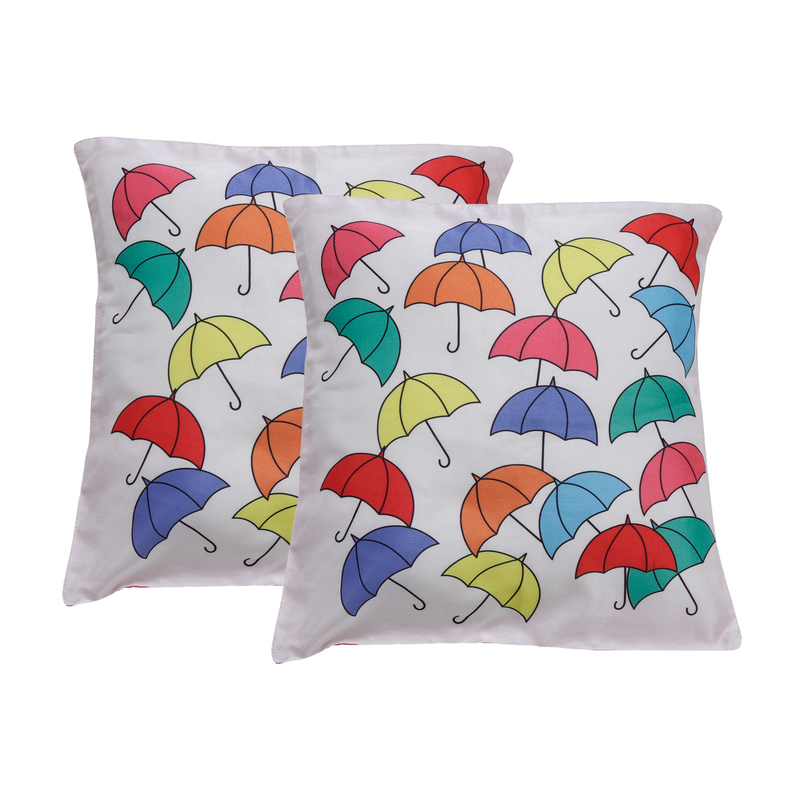 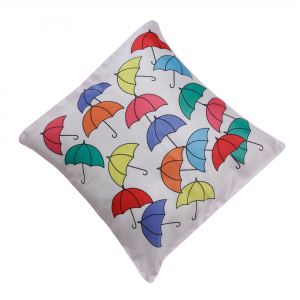 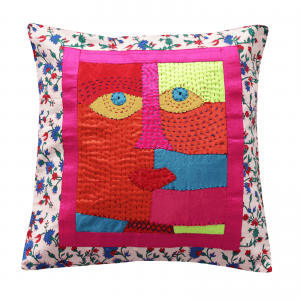 This cushion cover is handmade and features contemporary design. 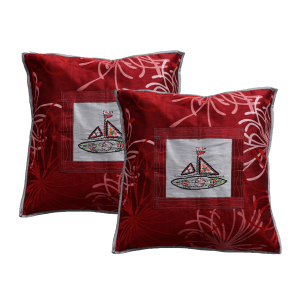 It flaunts a spectacular yacht motif and is sure to add a tone of adventure to your living space or office. 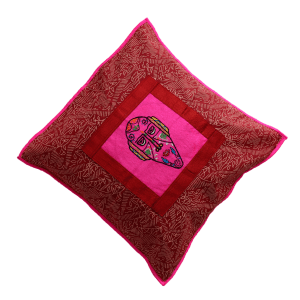 Created by Indha artisans, shop for a cause and add to the livelihood of a rural woman. 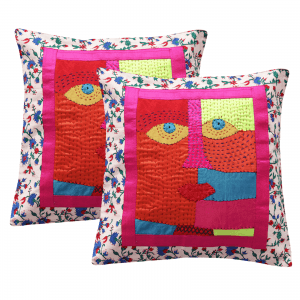 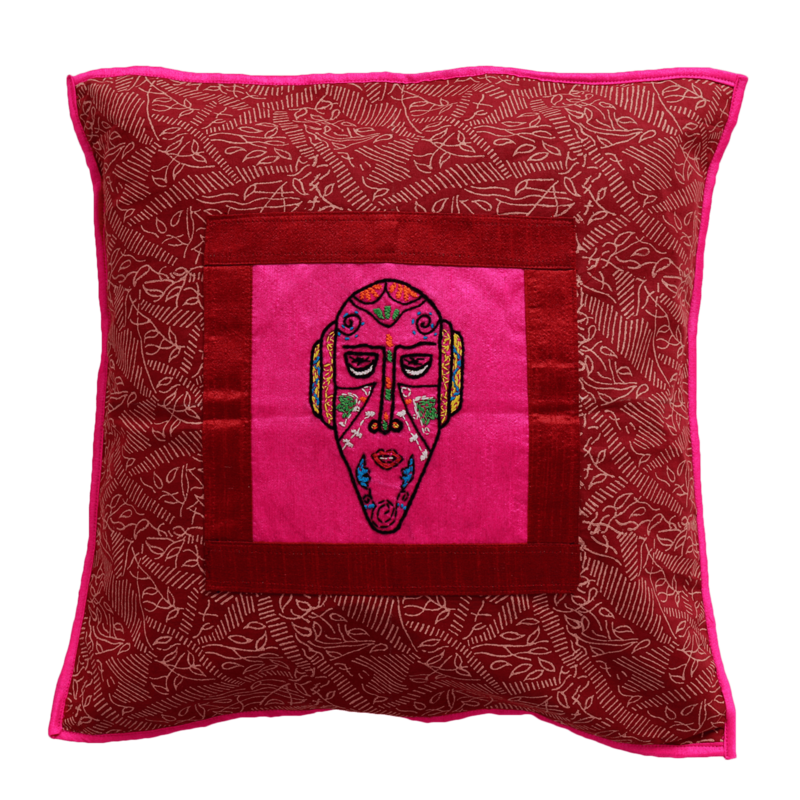 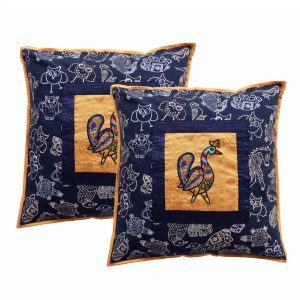 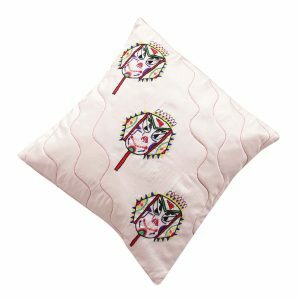 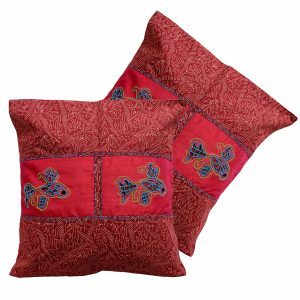 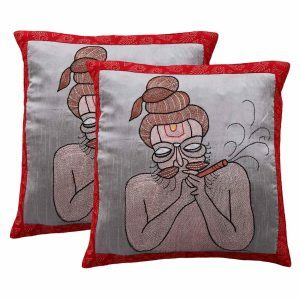 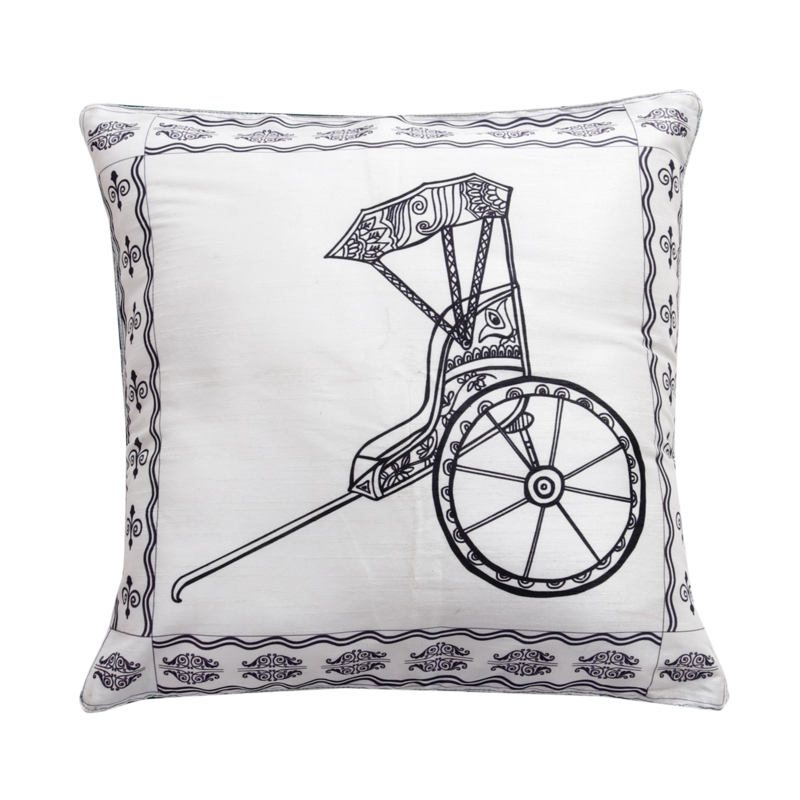 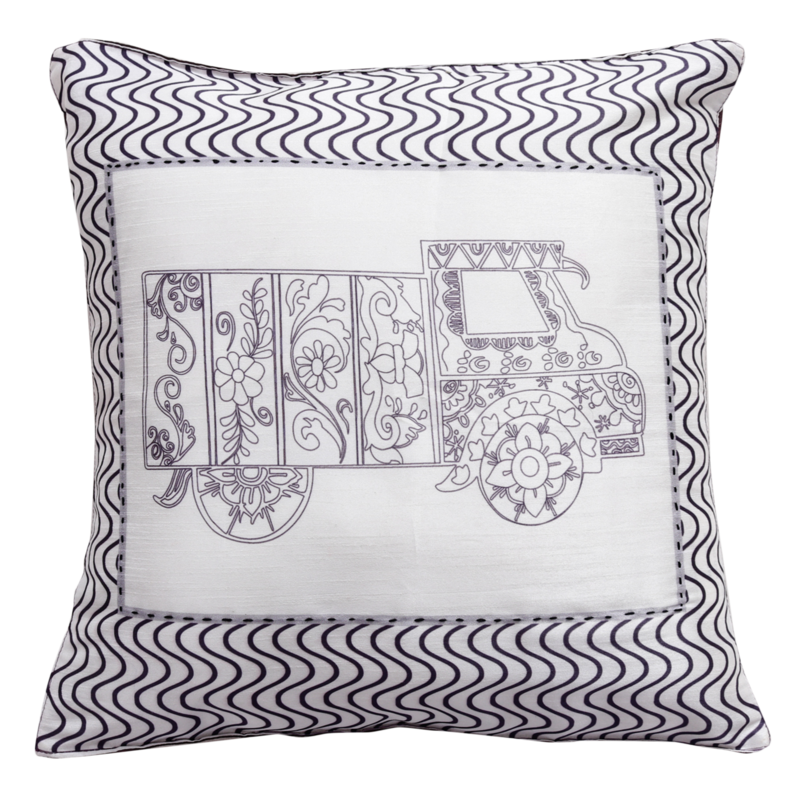 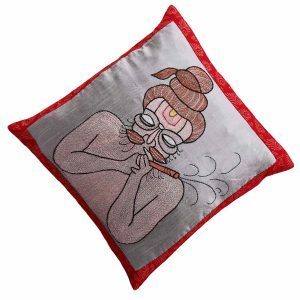 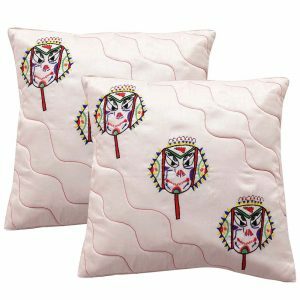 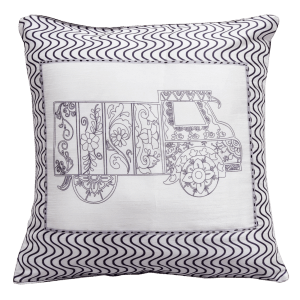 This cushion cover is handmade and features delicately embroidered face motifs. 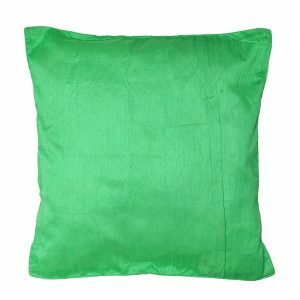 An elegant and exclusive home décor piece, it is guaranteed to add a vibrant and vivid touch to space where it is placed. 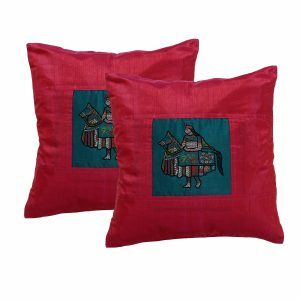 Created by Indha artisans, shop for a cause and add to the livelihood of a rural woman. 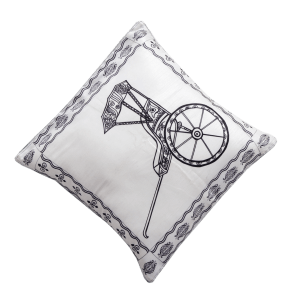 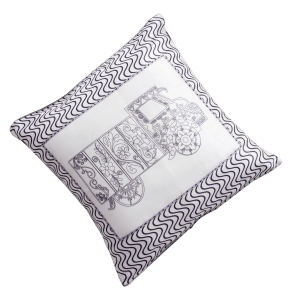 This cushion cover is handmade and features an elegant digital print. A classic and chic home décor piece, it is guaranteed to add a contemporary and sophisticated vibe to space where it is placed. 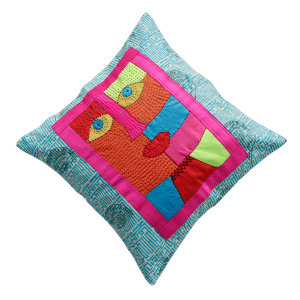 Created by Indha artisans, shop for a cause and add to the livelihood of a rural woman. 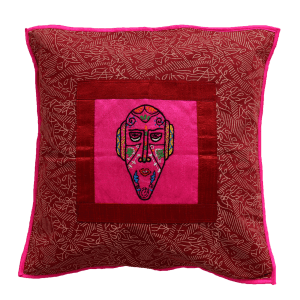 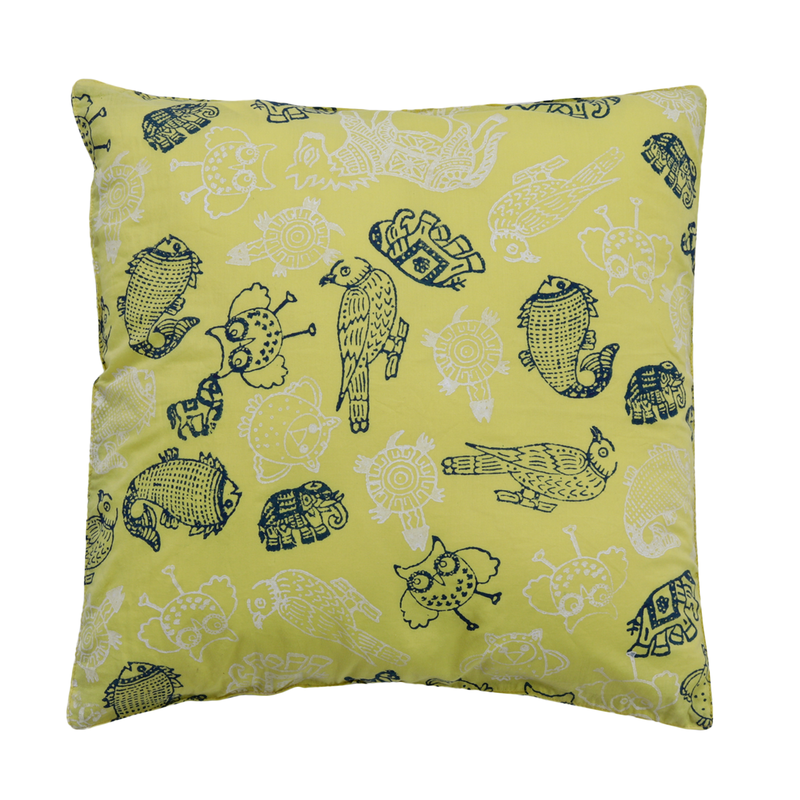 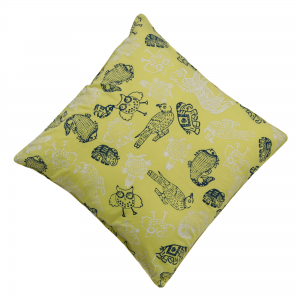 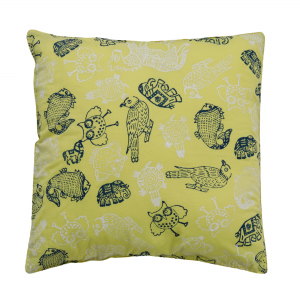 Beautify your living space with this chic and Indian cushion cover. 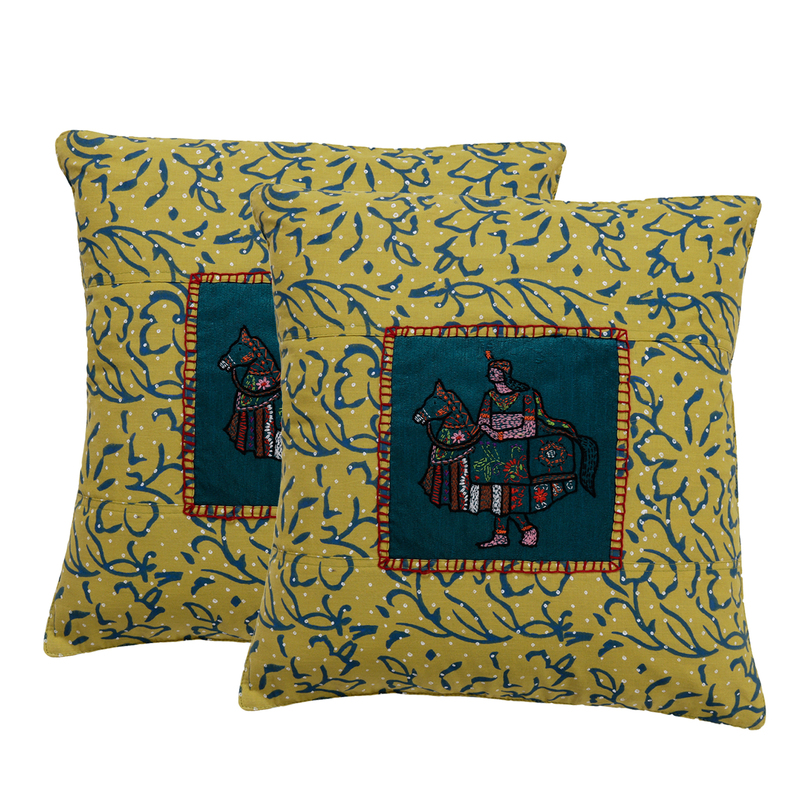 Styled in dupion silk with ethnic digital printing. 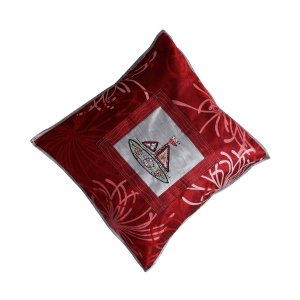 It is easy to maintain and features a classy finish. 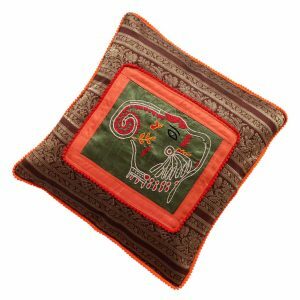 Manufactured by rural women from impoverished backgrounds, your purchase contributes to an artisan’s livelihood. 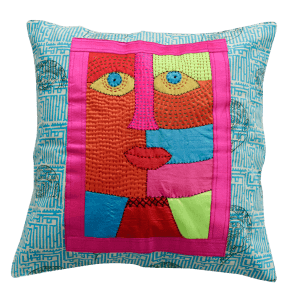 Help make a difference. 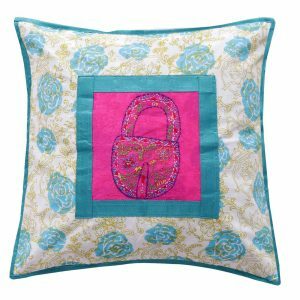 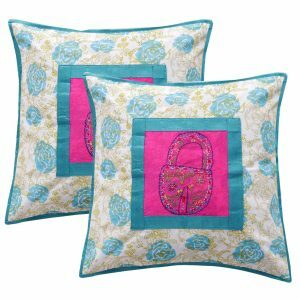 This cushion cover is handmade and features delicately embroidered hand of Fatima motifs. 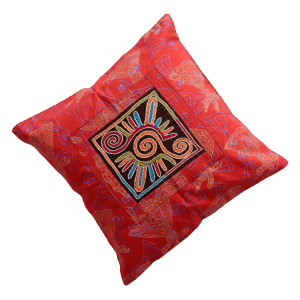 An elegant and exclusive home décor piece, it is guaranteed to add a vibrant and vivid touch to space where it is placed. Created by Indha artisans, shop for a cause and add to the livelihood of a rural woman. Beautify your living space with this chic and Indian cushion cover. Styled in cotton with hand block printing. Our Artisans makes special effort creating a symphony with beautiful Kantha hand embroidered Cushion Covers. 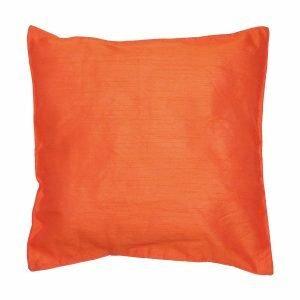 It is easy to maintain and features a classy finish. 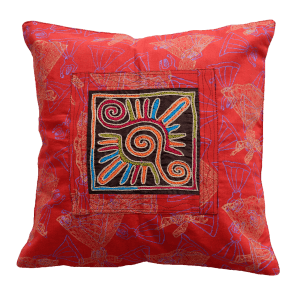 Manufactured by rural women from impoverished backgrounds, your purchase contributes to an artisan’s livelihood. 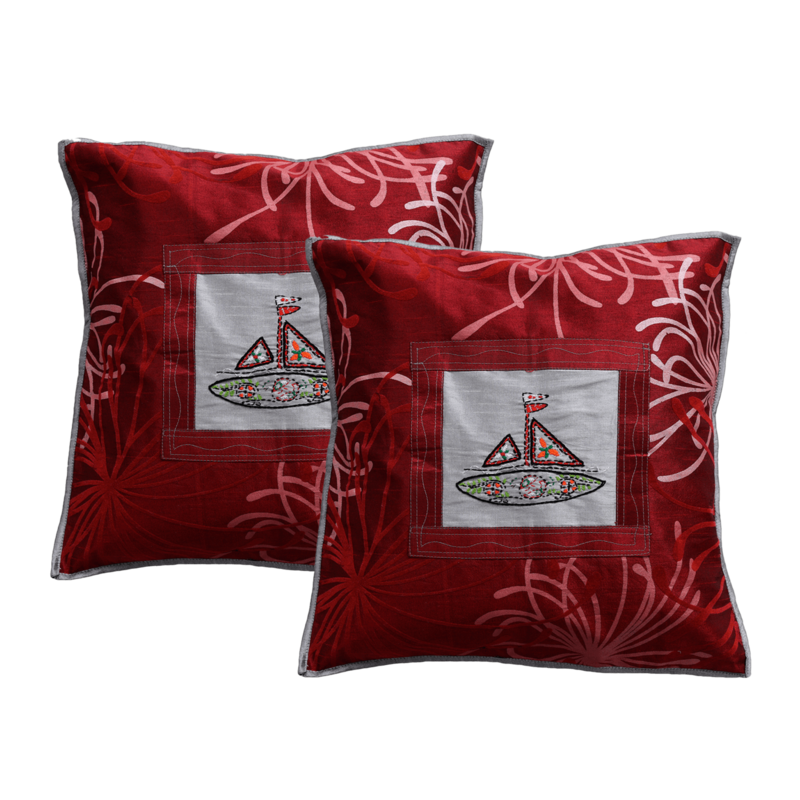 Help make a difference. 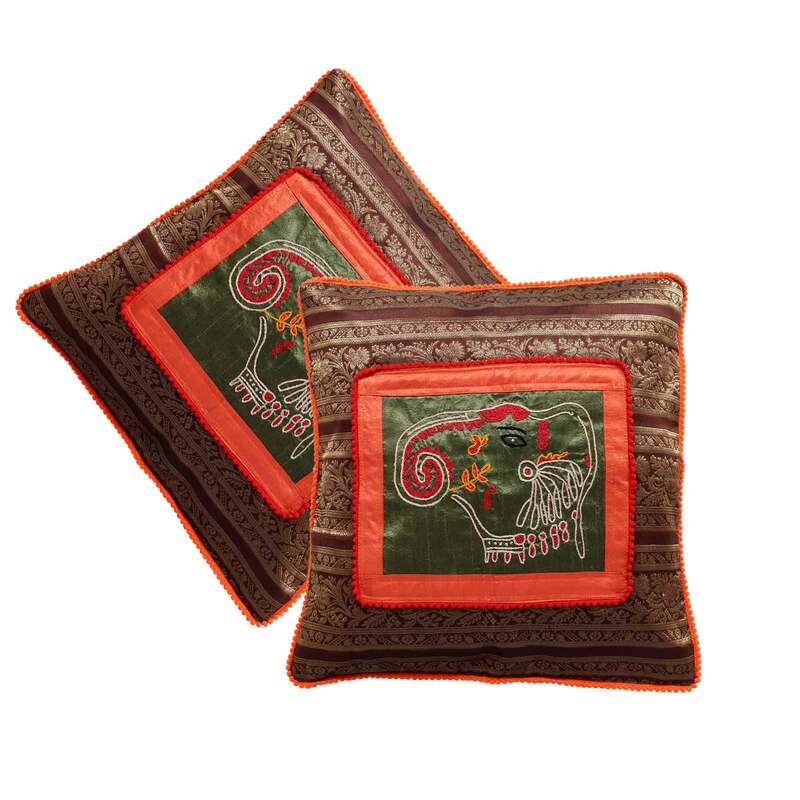 Beautify your living space with this chic and Indian cushion cover. 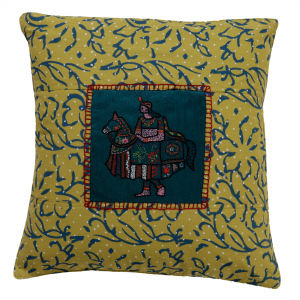 Styled in dupion silk. It is easy to maintain and features a classy finish. Manufactured by rural women from impoverished backgrounds, your purchase contributes to an artisan’s livelihood. 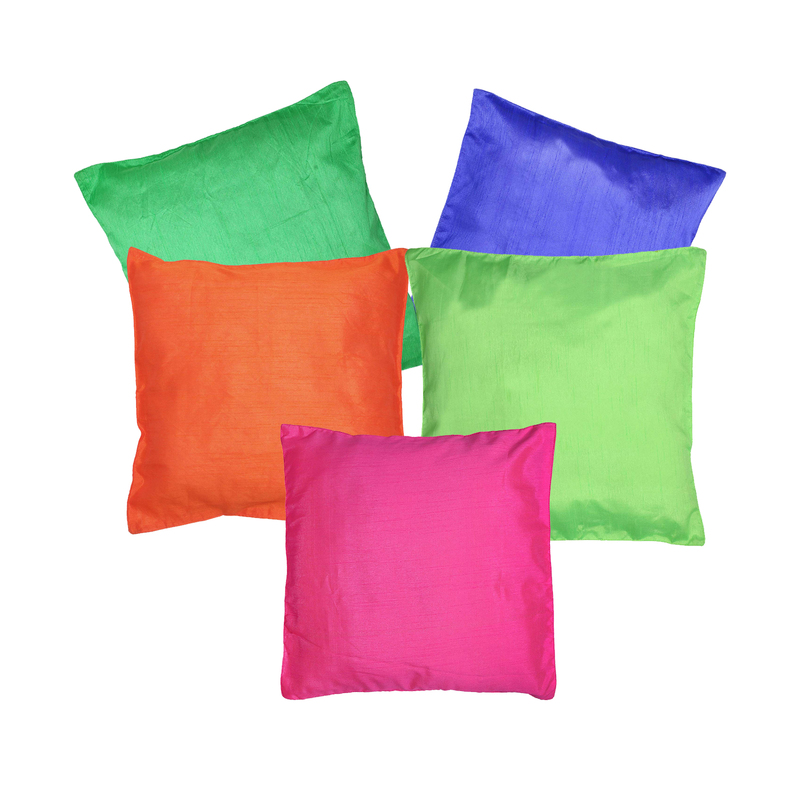 Help make a difference. 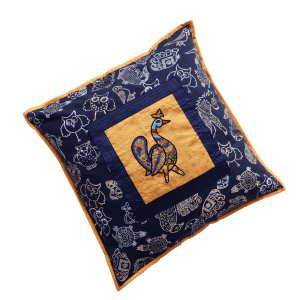 India’s Exquisite and Unique Cushion Cover, specially created on dupion silk. These have become the talk of the town. Our Artisans makes special effort creating a symphony with beautiful Kantha hand embroidered Cushion Covers. 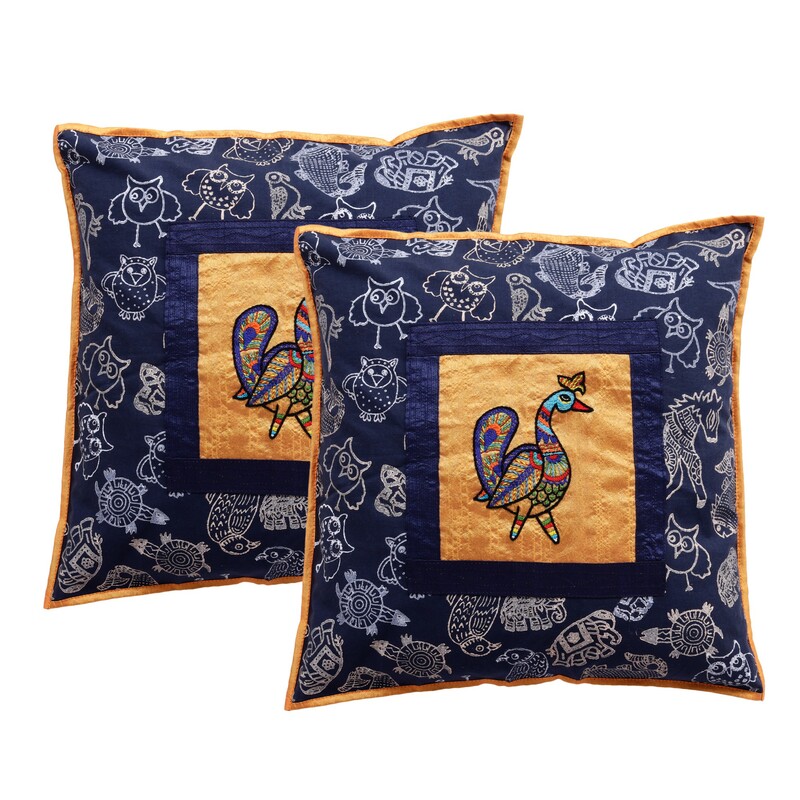 Our Homes could flaunt the art of our Indian Artisans. 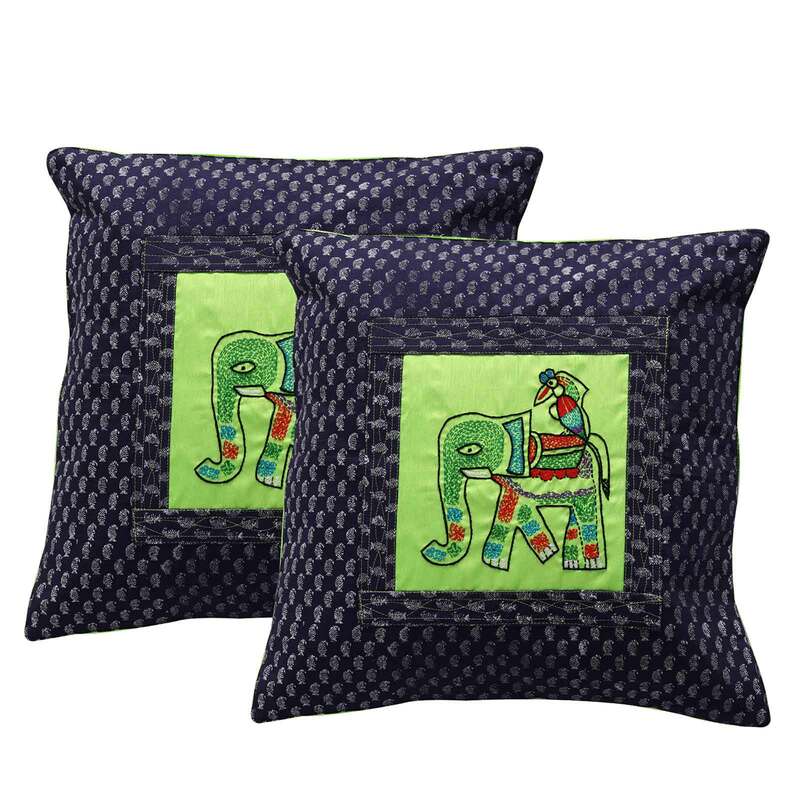 Be a Proud Indian to buy MakeinIndia product.